many societies, throughout the ages, hair has been highly charged with meaning. For thousands of centuries, hair has been synonymous with beauty, vitality and prestige. Your hair is part of your identity, framing your face. How you style your hair will influence how people perceive you! Hair is also seen as a health barometer. Soft, shiny hair is an indicator of good health, just like clear skin and strong fingernails. Your hair is fed by blood, which first feeds your essential organs, such as your heart and brain. Whatever nutrients are left, go to your non-essential tissues. This is why dull, lack lustre hair sometimes indicates an illness or vitamin/mineral deficiency. Before we explain the causes and types of hair loss, we will review some fundamental information about how hair grows. Hair grows from the bottom of the follicle and is nourished by the vast blood vessel system in the scalp. The first stage is called ANAGEN and is the phase of active growth. Most of the hairs on the head is in this phase, which lasts on average from 2 to 6 years and it’s the longest in duration. The second stage is called CATAGEN. This phase marks follicular regression and it’s the shortest phase, lasting approximately 2 to 3 weeks. Finally, the third stage is the resting TELOGEN phase. This happens when a new ANAGEN hair pushes out the hair currently in the follicle. This phase typically lasts 3 to 4 months. These are the hairs that you see coming off on your hair brush/comb or in the shower/pillow etc. The most common cause of hair loss for men is a genetic condition called Male Pattern Alopecia (also known as Androgenic Alopecia). It affects at least 50% of men by the age of 50 years, and up to 70% of all males in later life and has a well-defined pattern. This happens when individuals predisposed to male pattern alopecia, have follicles that are sensitive to a DHT which is a breakdown product of the male hormone Testosterone. This blocks the follicles from getting sufficient nutrients and causes progressive miniaturization of the hair follicles. As the follicle shrinks, the hair also shrinks with it, becoming finer and losing its colour pigment. Eventually, the follicle no longer produces hair, sitting dormant until it eventually closes. The most common form of hair loss in women it’s called Female Pattern Alopecia (Female Androgenetic Alopecia) and it occurs in up to 50% of women in the course of their life. The onset of hair loss occurs any time after the teenage years. In women, hair loss can become more noticeable after the birth of a child or around menopause, because of some hormonal imbalances. Diffuse hair loss, all over the scalp, decreasing the hair density, coverage and volume throughout. Hair Loss in females, unlike male pattern baldness, does not typically result in a total balding of the affected area. Any nutritional disturbance to the hair follicle can cause the growing phase of the hair cycle to become shorter, leading to an increase in shedding and cause the resting phase to become longer which means a slower regrowth. Therefore, your hair needs plenty supplies of proteins, energy-producing molecules (glucose) and certain vitamins and minerals for optimal growth. 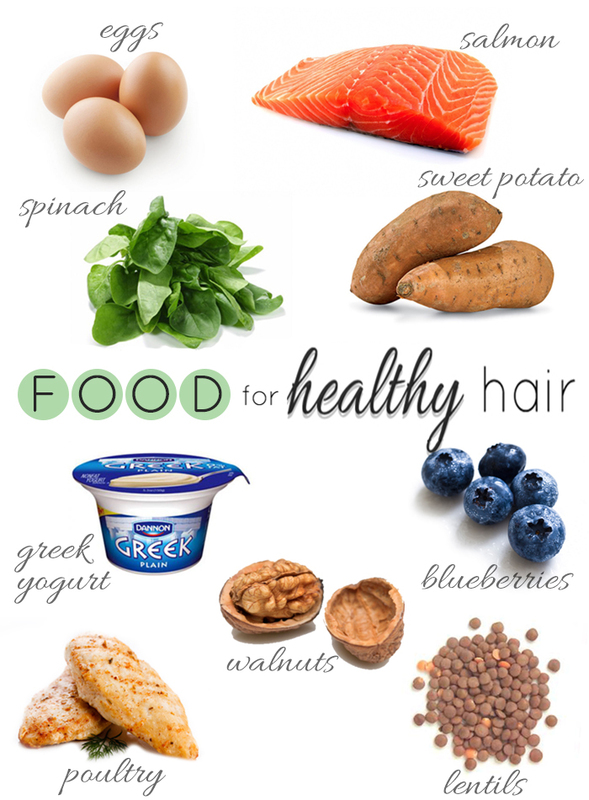 It is necessary to eat regularly (every 4 hours) to maintain adequate hair follicle energy levels. It is also important to eat a variety of foods, including plenty of vegetables, fruits and grain products. The most common nutritionally-related hair loss occurs while dieting. Substantial weight loss due to dieting can cause a temporary increase in hair shedding due to metabolic changes in the body. The hair loss usually begins 2-4 months after the onset of the diet and the hair tends to regrow to its original fullness another 2-6 months after the weight stabilization. 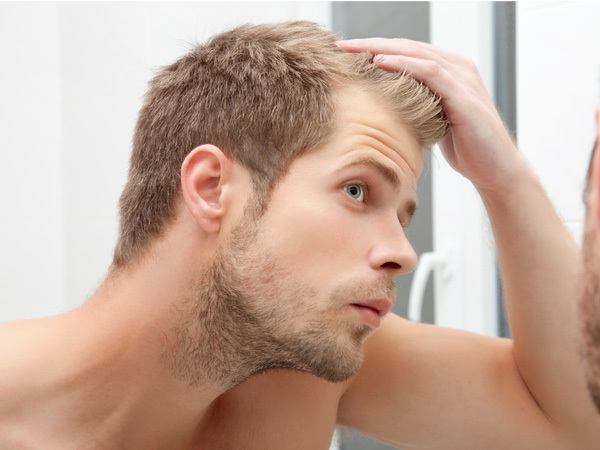 The hair loss problem starts approximately 4 to 6 weeks after the health condition occurred. Not only that stress accelerates genetic hair loss but can also cause a diffuse shedding of hair. That is because body’s uptake of glucose is increased during a stress episode, living less available for non-essential tissues such as the hair thus causing the fibre to be shed prematurely. Medications can react differently in different people. Taking certain medications can cause hair loss in some people, but not in others. Also, the same does when stopping a certain medication. Furthermore, certain medications can cause hair loss the first time they are taken, but not subsequent times (as the body adjusts itself to the medication) or they don’t cause hair loss for the first time but they do subsequent times (possibly because of the medication accumulating in the body). Other medicines that can disrupt the hair growth cycle are: blood pressure medications, cholesterol medications, medicines for ulcers, gout, arthritis, Parkinson’s disease, epilepsy. In men, the steroids taken to build muscular mass whilst body-building can often cause hair loss as well as acne especially on the back. If the persont has a genetic predisposition to hair loss, this will only accelerate the condition. All these above mentioned can cause hair shedding or can trigger a genetic hair loss condition. There are many different products used for cosmetic purposes that contain a lot of chemicals but they also build up a lot of residue on the scalp. You can also have breakage throughout the hair due to chemical over-processing and/ or incorrect styling, drying or brushing techniques. Also, using the hair dryer on very hot setting can boil the water in the hair shaft making it prone to breakage.